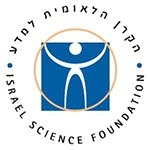 The Joint Canada-Israel Health Research Program is a 7-year, CA$35M Canadian-Israeli effort that draws on the unique scientific strengths of both countries and facilitates networking opportunities with peers from Africa, Asia, and Latin America. The first cycle of the Program will fund up to 30 research projects with a focus on the neurosciences (2015 call), immunology (2016 call), cancer (2017 call), neurobiology (2018 call), and metabolism in health and disease (2019 call). Priorities for future calls will be announced as they are determined. All funded projects will seek to advance research excellence, strengthen research capacity and promote long-lasting international scientific relationships. Hexanal release pattern being examined.